National Presbyterian School focuses on the all-important decade of childhood, offering boys and girls from age 3 to Grade 6 the highest quality education in a warm and caring environment. We provide children the guidance, challenge, and support they need to develop as successful learners and good people. At NPS we celebrate childhood, the time of life when the greatest leaps of learning occur. Childhood gets our full attention, and our faculty and staff are experts at helping children learn and grow - intellectually, socially, emotionally, and spiritually - during this these vitally important years. We challenge students with an engaging academic program that blends tradition and innovation. We embrace important core values that help students learn and practice what it means to live morally and ethically. And we create a learning environment where children feel loved and respected. When they graduate, NPS students go on to achieve enviable success. Our exceptional outplacement record speaks for itself: NPS graduates routinely gain acceptance to - and thrive at -leading middle and high schools in the Washington, DC, area and beyond. NPS is accredited by both The Association of Independent Maryland & DC Schools (AIMS) and the Middle States Association of Colleges and Schools. Accreditation is granted for a period of ten years, after which the School must go through a rigorous process of reaccreditation. NPS is subject to a variety of District of Columbia regulations regarding the health and safety of both students and employees. 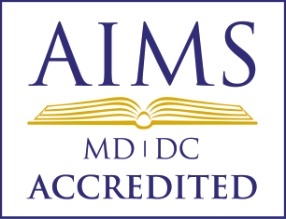 In addition to membership in AIMS, the School is also a member of Association of Independent Schools of Greater Washington (AISGW), the National Association of Independent Schools (NAIS), the National Association for the Education of Young Children (NAEYC), DC-Project Zero, East Ed, the Teachers of Color Preparatory Institute (TCPI), the Black Student Fund, the Latino Student Fund, The Center for Spiritual and Ethical Education, the Parents Council, Elementary School Heads Association, Independent School Management, Educational Records Bureau, The Enrollment Management Association and National Business Officers Association (NBOA).